DAVID LE/Staff photo. 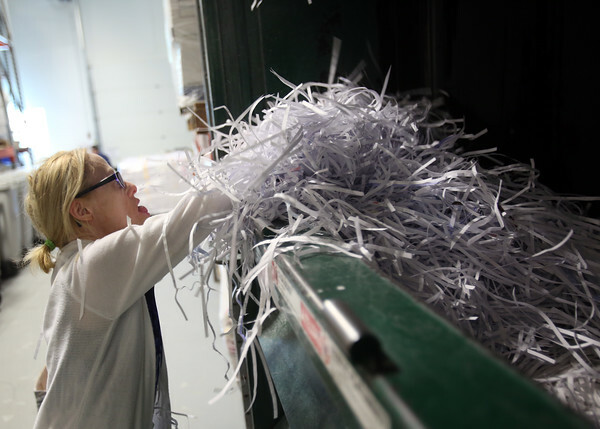 Melissa Clark, of Peabody, an employee at Northeast Arc in Danvers, loads shredded paper into a baler. Northeast Arc has a shredding service that has been growing rapidly. 8/27/15.